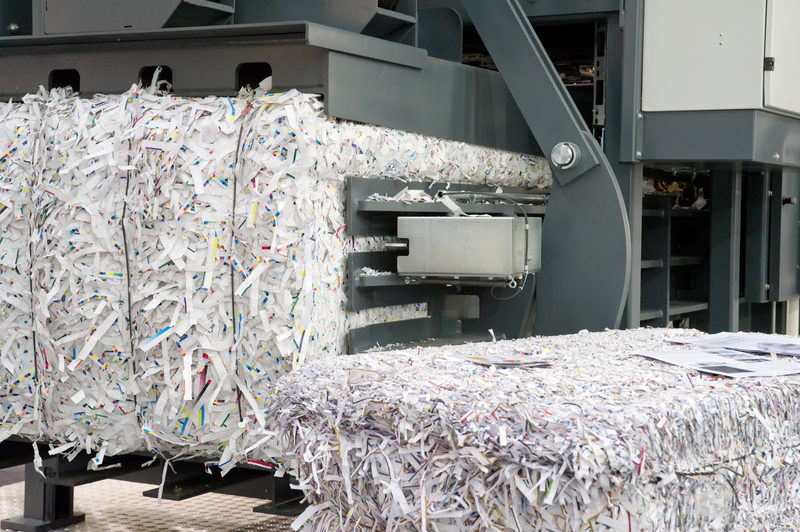 Document destruction and mobile shredding services can be a complicated process. Especially for companies without much knowledge on the subject, choosing the right provider can be difficult. Document destruction is vitally important, and a very crucial part of a full security process. In-house paper shredding is a cheap way to solve this issue, but for San Diego and Los Angeles areas, that isn’t enough. Scavengers and dumpster divers can reconstruct documents that are not fully destroyed, and whole waste bins can be stolen to slowly discern sensitive data. Documentation of any form is liable to contain sensitive data, and some of the simplest documents can still be used to harm a company if it is negligently handled. It is important to choose a professional document destruction service, and many companies choose mobile shredding. What are the considerations that companies should make when choosing a mobile shredding service? NAID stands for the National Association of Information Destruction, Inc.
NAID is the standards setting body for the information destruction industry. NAID AAA Certification verifies the qualifications of certified information destruction providers through a comprehensive scheduled and unannounced audit programs, guaranteeing the customer the highest security standards are implemented adhered to by the company. NAID certification auditors verify that protocols are in place to ensure the security of confidential material throughout all stages of the destruction process such as handling, transporting, storing materials prior to destruction, and destroying and disposing of materials responsibly. An extensive, three-level background screening process verifies that no individual with a known history of related crimes will be handling confidential material. Location is important when considering a mobile shredding service. Having a service conveniently located means a number of things: Companies can choose to converse with the mobile shredding service leadership and view the process to ensure the quality of the process; A local companies reputation is dependent upon their quality of service to local companies; Local companies are made up of local employees, and a local mobile shredding service will also include employees from the local area, and that personal connection ensures a higher quality of service. In addition, having a local document destruction service offers customers options in case they want to deliver the documents off-site. Do They Provide Secure Containers? An important part of controlling documents up to the date of destruction is having a secure place to store them. For customers in the San Diego area, having a secure container can deter criminals from scavenging documents from these bins while the company waits for the regularly scheduled document shredding truck. Without these secure containers, companies are on the hook for keeping their documents secure for up to a week, which may be difficult unless there is sufficient room on the premises for secure bins. In dense urban environments, many small companies may find it difficult to maintain the space to keep old documents undestroyed and vulnerable without secure containers provided, and they may not have the knowledge about the necessities of secure document control anyway. Do They Provide a Certificate of Destruction? A certificate of destruction is important in ensuring the quality, security, and accountability of a mobile shredding service provider. These certificates will establish responsibility for the documents, provide a way to audit the process, and outline the exact methods used to destroy the documents. This is all for legal protection for the customer, and it is a sign of quality service that should be part of every mobile shredding service. For the San Diego area, Southern California Shredding offers all of these as a part of their mobile shredding services. With Southern California Shredding, mobile shredding services are simple, safe, convenient, and affordable. Contact our office for more information today!